If you are planning the fishing trip of a lifetime, complete with luxury accommodations, gourmet meals, experienced guides and most of all, great fishing, you need look no further than Bristol Bay Alaska fishing lodges at Alaska Sportsman’s Lodge. Alaska Sportsman’s Lodge is located on the Kvichak River near Lake Iliamma, and Alaska Sportsman’s Bear Trail Lodge is on the Naknek River near King Salmon. 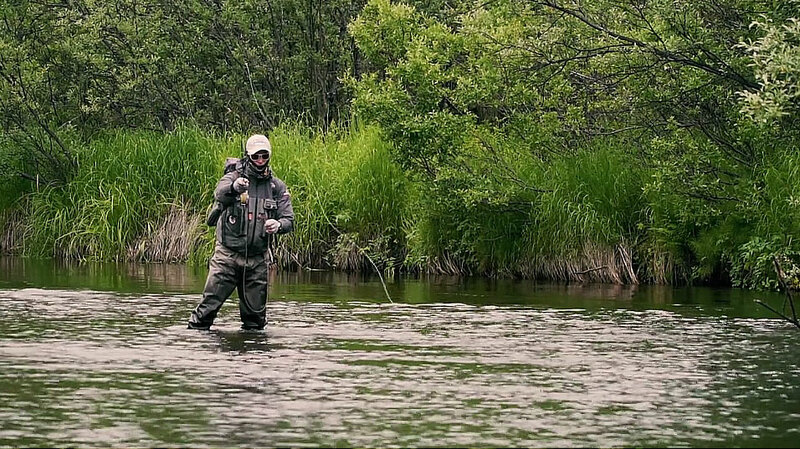 Choosing Bristol Bay as the destination of your fishing trip makes sense. Bristol Bay is widely known to contain the richest commercial salmon fisheries in the world. Sport salmon fishing there is just as renowned. You have the opportunity to fish for Chinook, Sockeye, Coho, Pink and Chum trout from pristine waters surrounded by breathtaking scenery. As a bonus, the area is also designated as Alaska’s only “Trophy Rainbow Trout” spot. One main advantage of our Bristol Bay Alaska fishing lodges is that they are right on the water. No need to travel long distances to find great fishing because it is just outside your room. Many other lodges must have their guests travel over land or by air to get to great fishing, risking the disappointment of their guests should weather prevent such travel. The vacation of a lifetime can be ruined by weather if you select the wrong lodge for your stay. In addition to the fabulous fishing at the Bristol Bay Alaska fishing lodges, you will experience great service and luxury rooms with stunning views of the surroundings. Meals prepared by professional culinary staff are served three times per day, offering a wide selection to suit everyone’s tastes. There is hot and cold running water all year round, and each room or cabin has a private restroom. There are even facilities for small groups like business retreats or family get-togethers. Allow yourself to pampered and catch trophy fish all in one magnificent trip. Alaska truly is one of the finest destinations in the world for trophy fishing, and the Bristol Bay Alaska fishing lodges are among the best lodges in the world designed specifically to serve the sport fisherman. Make your reservations now and get ready for the trip of your dreams.